Offering great value for money and compatibility with Intel and AMD CPUs, the Gelid SnowStorm is an ideal low cost quiet replacement for a stock cooler. 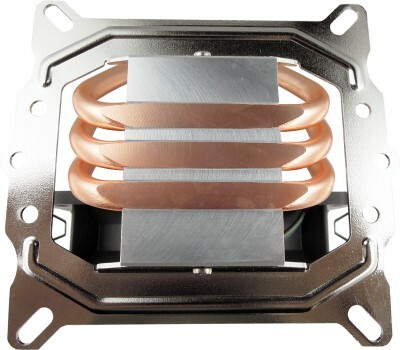 Gelid's SnowStorm is built with a unique fin architecture which distributes airflow evenly into the heatsink. Thanks to its three high power heatpipes with Direct Touch technology (HDT), this compact cooler achieves unexpected cooling performance. Its compact size makes it light and with the metal back plate, the mount is much secure than with a traditional mounting. 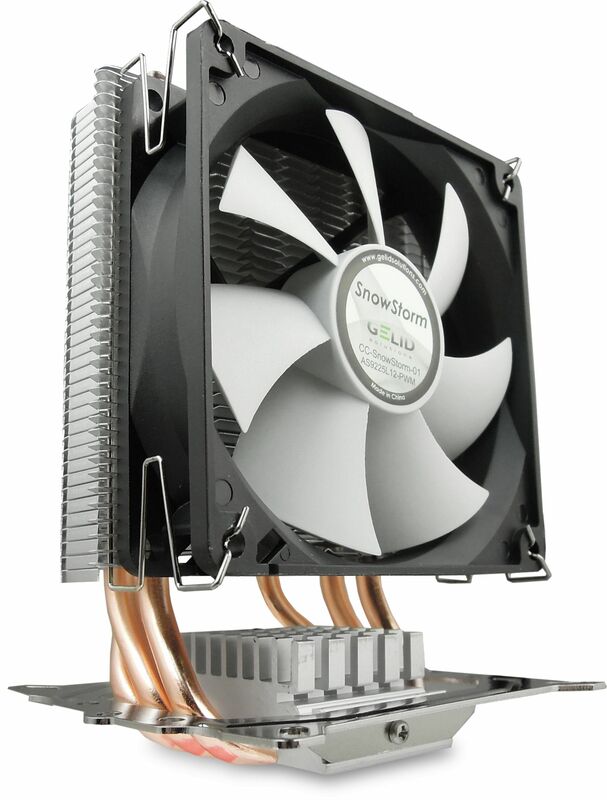 The 92mm fan contains an intelligent PWM fan controller which ensures very quiet operation at low CPU temperatures and efficient fan speed acceleration when the temperature climbs higher. Air Flow (CFM / CMH) 39 / 66.3 max.